Jack Frost could be just around the corner! It is unfortunately that time of year again where sudden cold spells catch us out and wreak havoc on our horseboxes. 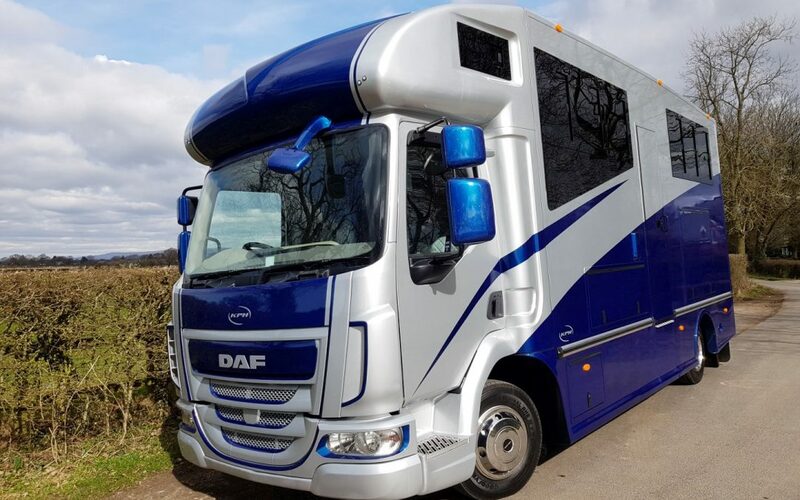 It’s as good a time as any to preempt any frost damage and offer some general advice on draining down and also cleaning your horsebox water system. Hopefully we won’t have much, but with the onset of frost one of our more common seasonal repairs is replacing damaged areas of horsebox water systems and especially costly water heaters. This can be extremely expensive for customers and is easily avoided if you get into a routine of either draining down the system each trip or leaving the water system drained down and carrying water in drums for the winter months. Damage is not caused by the freezing process as you may expect, it is in fact caused by the thawing process. As frozen water melts it expands, if this happens inside your water system it will crack joints, pipes, seals and even the body of the water heater itself. To avoid frost damage the water system should be drained down as completely as possible. To do this, first turn off the water pump and then open all the taps fully. Next, open the drain down tap on the water tank and lastly open the water heater bung or tap. This should allow any water to drain away. It’s always a good idea to run the water pump again for a few seconds to purge any water left in the pump. Water heaters are all different, but all should have a bung or tap to allow drain down. Close the sink taps, water heater bung or tap and close the water tank drain down tap. Fill the water tank with fresh water and turn on the water pump. Next, any hot and cold taps need purging of air, so open the cold taps first and when water comes out of these smoothly (without any air or spitting) close them. Next move on to the hot water taps and these will take considerably longer to fill and purge of air because they also have the hot water heater tank to fill. When water comes out of the hot tap smoothly (without any air or spitting) close them and the system is ready for use. If you use the water system for drinking water, it can go stale in as little as a few days. To keep it fresh, draining the system every trip is a very good routine to get into. However, just rinsing the water through the taps and filling the tank with clean water isn’t enough to keep it clean permanently. There are various products on the market to clean the full system and a good one we use a few times a season is Puriclean, just follow the instructions. That’s the full winter process and really it’s quite quick when you get into a routine, I hope it helps.